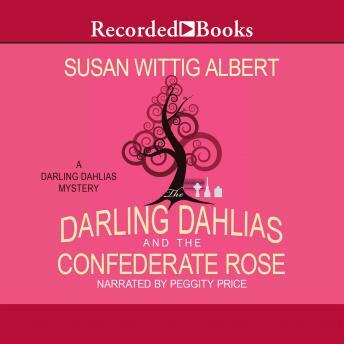 Best-selling author Susan Wittig Albert offers this third charming mystery set in the Depression-era town of Darling, Alabama. In the wake of the upcoming Confederate Day celebration, the Dahlias set out to solve a rash of mysterious occurrences. They' re ready to tackle the secret code embroidered on a family heirloom and suss out why one local resident is acting quite strange -- yet nothing prepares them for one of their own being accused of stealing county funds.